Please click here for advice on cyberbullying. • At all times be respectful of others. • Never include children's full names (even your own children's). • Never post or tag photographs etc without ensuring that you have the right permission. • If there is something you are concerned about in school please contact the school to sort it out rather than discussing it on Facebook for example. • Everyone who adds to online sites is responsible for any comments posted under their name. • If you are aware that sites are being misused you have a responsibility to report this. • If an online conversation looks as if it might be derogatory you should not get involved in the discussion and refer the person to the school. • You should not accept children as friends on a social networking site. • If you want to set up a site that refers to your child’s school then please let the school know. • If you are using social networking sites for school purposes remember that this is a school not personal area so personal comments should not be posted. • Also if the site is representing the school then please make sure that the good name of the school is preserved and not brought into disrepute. • No member of staff or volunteer is allowed to discuss any matter to do with pupils, staff or parents/carers through social media because of safeguarding requirements. This includes tagging photographs etc. • Some members of staff or volunteers may have social network accounts as a parent or member of a local community group. They must not respond to any comments about the school they come across. • Staff and volunteers are obliged to inform the school leadership of any concerns they have about comments being made by others. • Staff have a duty to monitor online spaces and report anything of concern to the school leadership. We expect all pupils to be safe and responsible when using ICT therefore it is essential that pupils are aware of e-safety and know how to stay safe when using any ICT inside and outside school. Information on aspects of e-safety and how to protect your child at home can be found on the following websites. 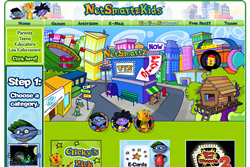 Some have quizzes and activities you might like to share with your child. 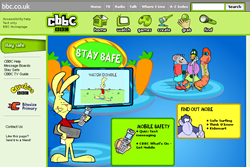 At the bottom of the page there are some e-safety fact sheets provided by these sites. 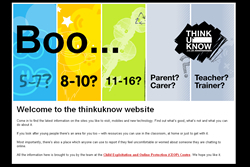 The “Thinkuknow” website is brought to you by the Child Exploitation and Online Protection centre(CEOP). Their resources are used in school, where Year 1 children follow Hector's World and Year 2 children review Lee and Kims adventures. Get Safe Online is the UK’s leading source of unbiased, factual and easy-to-understand information on online safety. It is a jointly funded initiative between several Government departments and private sector businesses. The cybercafé, within the Thinkuknow website, is a safe online community where you can make choices without getting hurt. You can join in the fun at the cybercafé by playing the game. 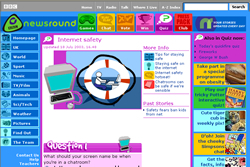 Video clips and games that will test your e-safety knowledge.